Whether the cause is a clogged toilet or a rainstorm, floods in the home or office are common and can be devastating to your flooring and area rugs. Carpet Tech Services + Rug Worx is NOT a restoration company, but feel free to call Scott directly on his cell (602) 647-9305 with emergencies such as this for insight on what steps to take and who to call regarding your CARPET and AREA RUGS! We have a couple of great local referral sources for you that we trust. What are the possibilities? Contamination, dye bleeding, shrinking, mold and mildew are just a few issues that come with the territory. It is important that rugs which have been exposed to flooding are properly inspected and cleaned in-plant by a trusted source. 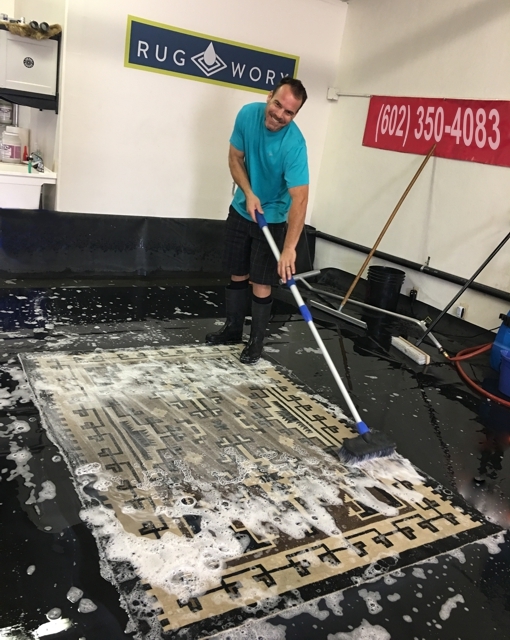 RUG WORX can handle flooded rugs and can even provide you with reporting and photos for your restoration company or insurance company. If you are working with a restoration company, please provide them with our information and request that WE clean any exposed area rugs. We have cleaned many rugs that were exposed to flooding. We will walk you through the process, and handle your area rugs with care!